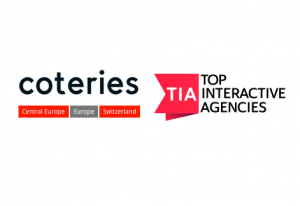 Top Interactive Agencies: Coteries Lab in Lausanne is now one! Home / Coteries Lab is now listed on TIA (Top Interactive Agencies)! If you’ve read our blog before, by now you probably know us. But for the ones who don’t, let us present ourselves. Coteries Lab is a digital agency based at EPFL Innovation Park in Lausanne. A Team of 6 gifted professionals. We know what you’re thinking already: “one more marketing/digital agency that does the same as everyone else and claims to be different”. We are now listed on Top Interactive Agencies! Having a multi cultural/multi skilled team helps a lot when it’s time to come up with creative solutions for our customers. From Bank mobile apps to small chatbots, we have gathered a large experience over the years. Don’t get us wrong, we love to provide the most common services, but we like to think further and advise our clients that the future is now. As entrepreneurs ourselves, we want to make you successful! Swisscom, Local Search, EPFL Innovation Park, Bastian Baker, GEOSATIS Technology, Switzerland Innovation Park, Swissparks.ch, Teads TV, MOOC’s Afrique, Hypothekarbank Lenzburg, Valais Mundi, Geneva Creativity Center, Teleste, Sheera’z, Swiss Mobi Camp, Deex, Pryv, Scantrust, Publi Groupe, Swiss Angel Forum, Fintech Fusion, Consuu, Alumni HEC, D&M Swiss Brokers Sarl, Libérez vos idées. And that’s why we got listed on TIA. The directory of Top Interactive Agencies in the world. Make sure you visit our profile there. 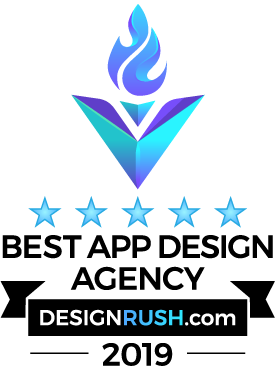 If you’ve worked with us and was satisfied with our services, take 2 minutes and recommend us there. For the new clients that want to know more about Coteries, let’s grab a coffee and discuss your digital project?